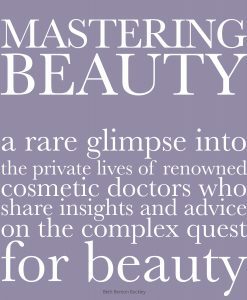 Dr Grotting talks about his feature in a book called “Mastering Beauty”. 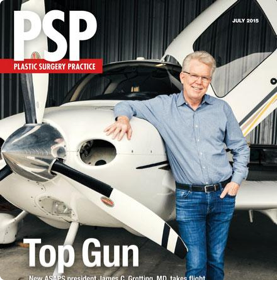 In this text, plastic surgeons share insights and new approaches to refining results and correcting problems in patients who have previously undergone plastic surgery. 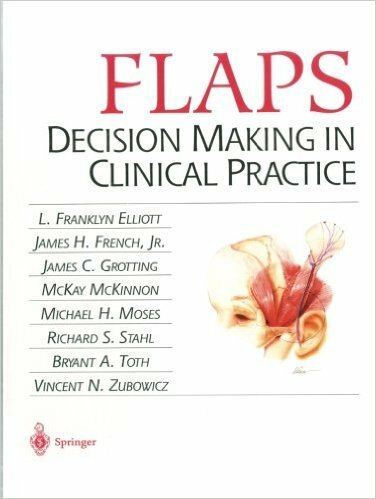 Step-by-step descriptions of different procedures that are appropriate for reoperative surgery are included, as well as sections focusing on special problems and aesthetic considerations. 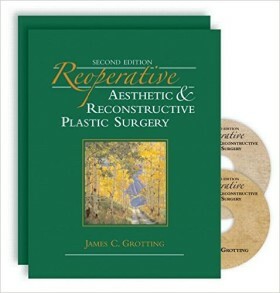 Dr. James Grotting, an acknowledged leader in plastic surgery, has personally written more than a quarter of the 50 chapters for this new edition and has carefully edited the rest. 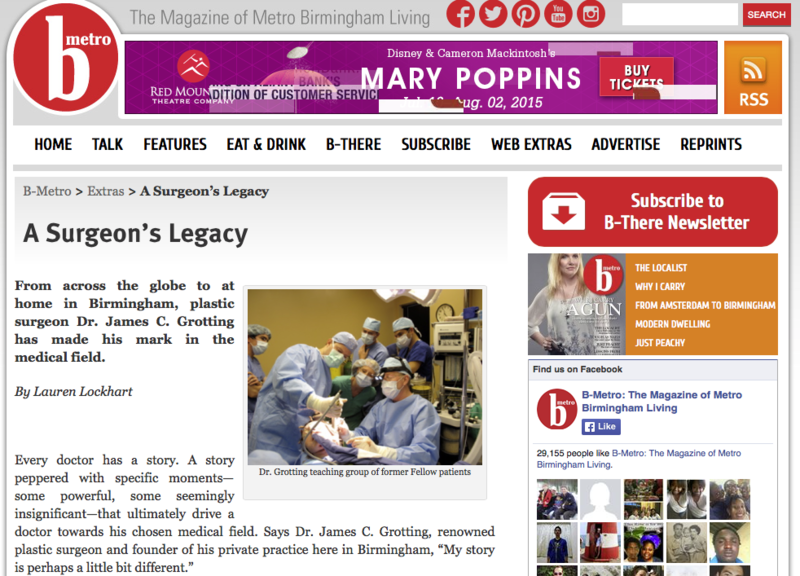 His contributors represent the “who’s who” in plastic surgery worldwide. 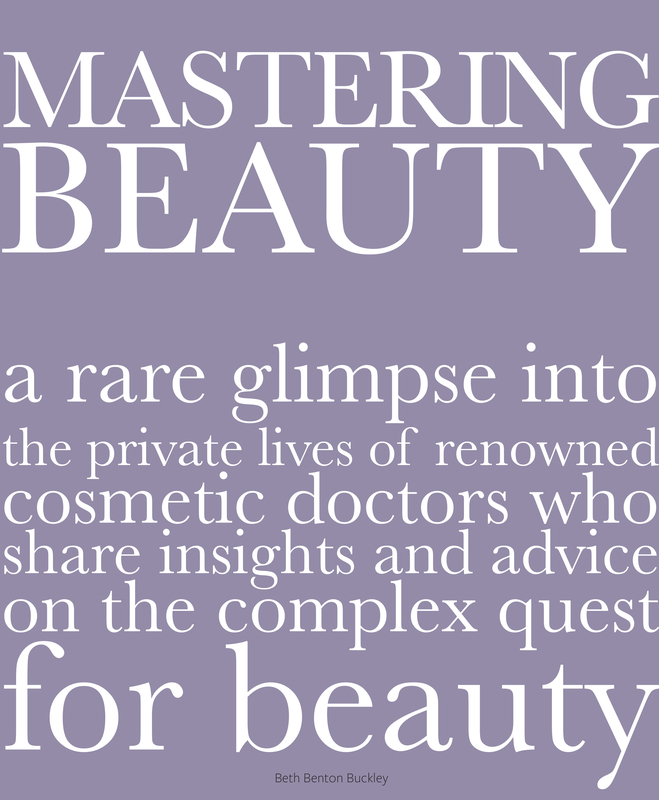 Benefit from the wisdom of this renowned group of surgeons who share their approaches to aesthetic and reconstructive surgery and the special problems that require reoperation. 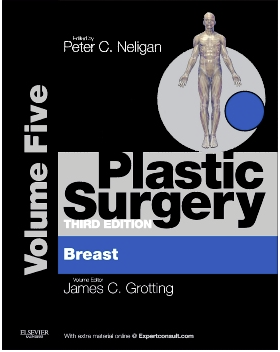 Fully updated to meet the demands of the 21st-century surgeon, Breast, Volume 5 of Plastic Surgery 3rd Edition, provides you with the most current knowledge and techniques in breast surgery, allowing you to offer every patient the best possible outcome. 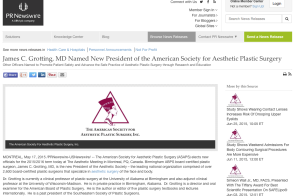 Plastic Surgery Aesthetic Breast Surgery, edited by Drs. 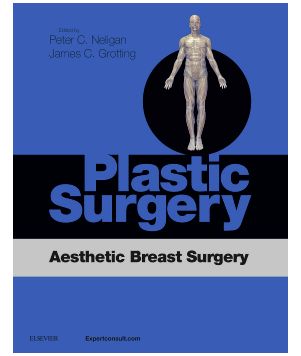 Peter C. Neligan and James C. Grotting , is a one-of-a-kind eBook designed to help you master aesthetic breast techniques for optimum outcomes for your patients. This directive, established by The American Board of Obstetricians and Gynecologists, impacts a physician’s preparation for primary certification and recertification. 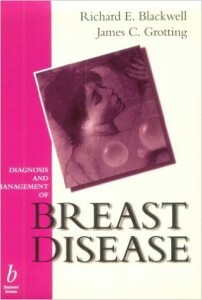 This book will fill that need for the resident and practitioner alike, by providing the information needed to diagnose and manage breast disease. 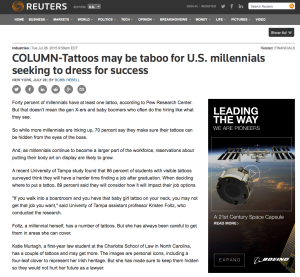 It will cover anatomy, physiology, functional breast disease, mammary dysplasia, benign and malignant tumors, congenital deformities, imaging, diagnostic surgery techniques, medical therapy, surgery, and reconstruction. 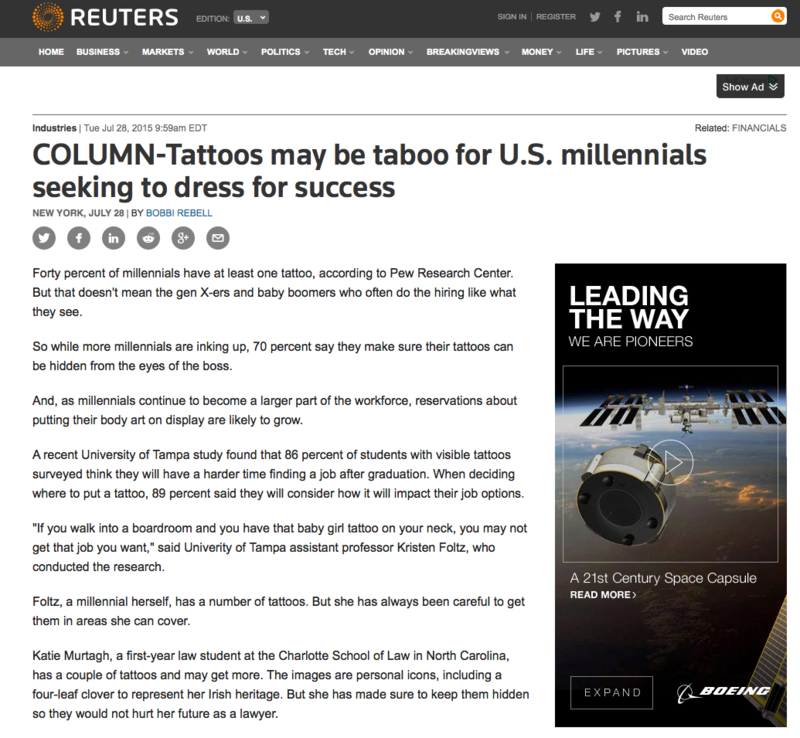 Controversial issues such as hormone replacement therapy and breast examination will be included. 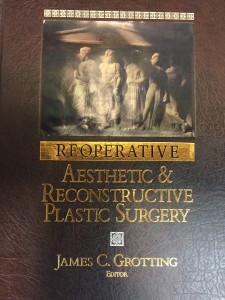 An excellent readable guide for surgeons utilizing multiple techniques in plastic and reconstructive surgery. The authors have organized a pragmatic guide, specifically focused on those flaps which surgeons find difficult and challenging, with the latest technical developments in all anatomical areas. 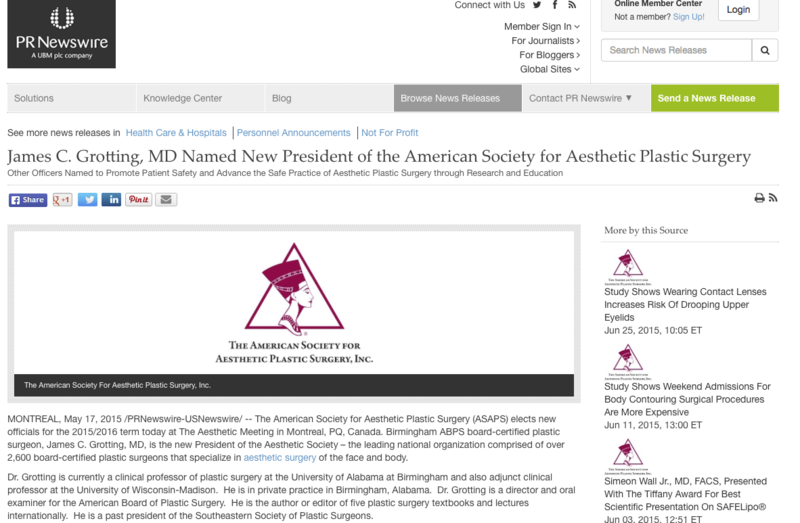 MONTREAL, May 17, 2015 The American Society for Aesthetic Plastic Surgery (ASAPS) elects new officials for the 2015/2016 term today at The Aesthetic Meeting in Montreal, PQ, Canada. 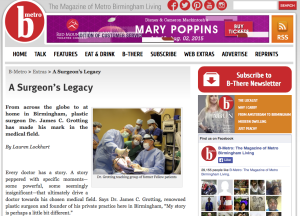 Birmingham ABPS board-certified plastic surgeon, James C. Grotting, MD, is the new President of the Aesthetic Society – the leading national organization comprised of over 2,600 board-certified plastic surgeons that specialize in aesthetic surgery of the face and body.